A great personal exhibition to talk about "The Work of Art in the Age of Mechanical Reproduction"
"Giannetto Bravi and the distracted examiner" is the title of the new exhibition at the Parisi-Valle Civic Museum in Maccagno con Pino e Veddasca. This exhibition is dedicated to Giannetto Bravi, one of the great masters of the new avant-garde who has combined pop and conceptual elements. Clara Castaldo is the curator of the exhibition, which will be open from April 8th (inauguration: Saturday, April 8th, 6:00 pm) through June 11, 2017. The various sections of the exhibition offer an overview of the themes chosen by the author: from the series dedicated to Pompei (here it will be side by side with the archaeological section of the museum) to the famous bolt and chain suitcases, as portrayed in the photographic sequence by Mimmo Jodice for the catalog of the Apollinaire Center exhibition), to the famous ancient and modern Quadrerie, including numerous pieces on display for the first time. 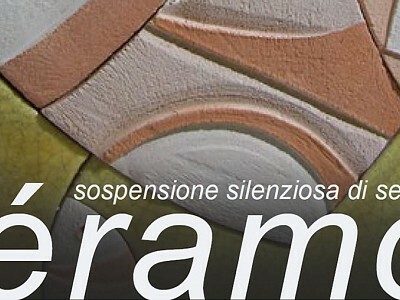 "My sincere thanks to those who strongly wanted to set up this exhibition, thus allowing us to meet - from an unusual perspective - one of the protagonists of contemporary art, who was also a precursor of certain observations, thoughts and cultural phenomena that are typical of the twenty-first century,” says Fabio Passera, Mayor of Maccagno con Pino e Veddasca. “Together with our team and all our followers, I witness the exciting growth of the Parisi-Valle Museum, which is not only a temple for muses, but a place where culture is shared with everybody." “Associazione la Città Sonora” will enrich the inauguration day with "Sound Paintings," a duo made of Mauro Bravo (double bass) and Davide Arzuffi (electronics) who will perform a piece called "The Voyage of the guardian". Giannetto Bravi (1938-2013) was born in Tripoli (Libya) on December 18, 1938. He lived from 1940 to 1974 in Naples where he graduated in geology and started his artistic experience as part of the new avant-garde. His contribution to Operazione Vesuvio, wanted by Pierre Restany in the early seventies, is well known. It has been observed that his creativity has developed partly from his deep knowledge of the local culture, and partly from a scientific attitude that examines and verifies every finding. Postcards had an important role in his work since 1972; at first he just sent postcards of the Vesuvio as evidence of the Operazione Vesuvio in progress, and then he started to assemble them into paintings or art books. The most recent cycle is the " Quadreria d’arte ", an ongoing project based on postcards of the most famous masterpieces collected in the greatest museums and prestigious exhibition spaces around the world, which was presented in 2007 at the Capodimonte Museum in Naples. The artist has dozens of personal exhibitions and over 100 group exhibitions under his belt. Many art critics have written about his works, including Achille Bonito Oliva, Pierre Restany, Gillo Dorfles, Lea Vergine, Angela Vettese, Giulio Carlo Argan, Francesco Tedeschi, Cristina Casero, Giorgio Zanchetti, Elena Di Raddo, Philippe Daverio.